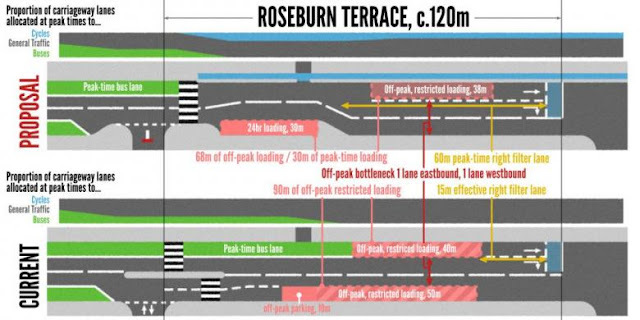 A visualisation of Roseburn Option A (above). 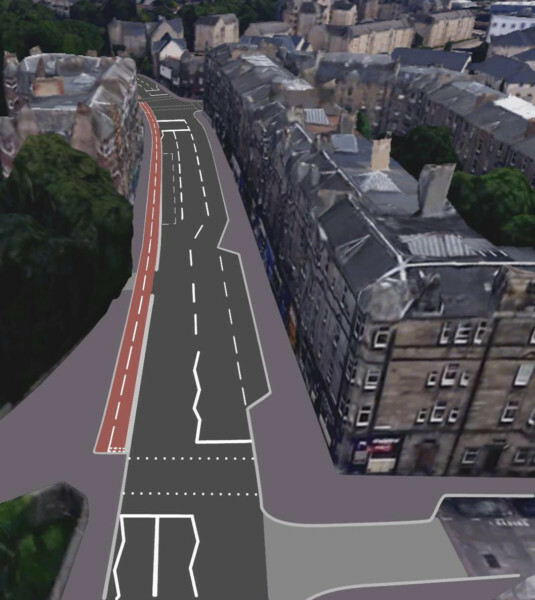 A comparison of road layout, current against Option A (below). A letter in the Edinburgh Evening News from East-West nemesis Pete Gregson. A letter from Transport Committee head Leslie Hinds, rebutting the previous letter. A two-page spread in the Edinburgh Evening News. A blog post from Daisy Narayanan of Sustrans. We have seen narratives that create an ‘us’ and ‘them’ – pitting ‘motorists’ against ‘cyclists’ against ‘pedestrians’. With such projects, it is hugely disheartening to see what should have been a force for positive change become a focus for anger. It is equally disheartening to see strong evidence and the policies of the Scottish Government which support a more active, greener Scotland being undermined by such opposition. In darker moments, I have been tempted to draw parallels to the post-fact world that we seem to inhabit at present. Roseburn to Leith Walk A vs B: time to act!